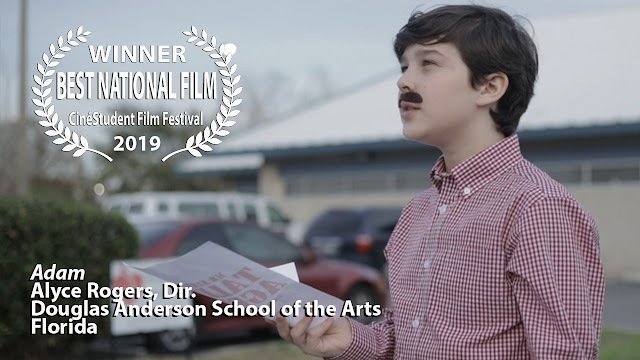 The 2019 CinéStudent Film Festival will stream LIVE! Check out the LIVE stream below. The festival will go live around 6:30pm. The screening starts around 7pm and the awards ceremony will begin around 8:45 or so. Keep in mind, this is a live event! Or, you can view directly on our YouTube Channel. Join Rebecca Skiple as she walks us through the 2019 Official Selections for the CinéStudent Film Festival. We selected 26 films. 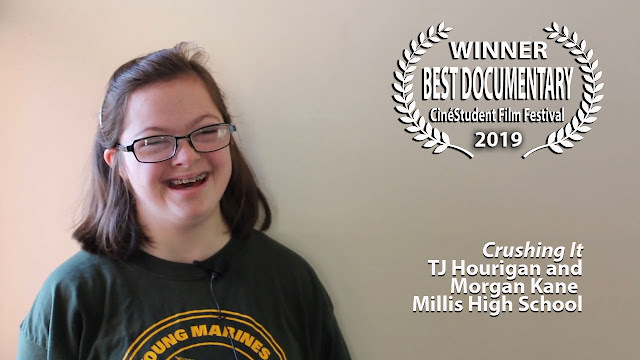 Out of these films, the top rated films will be screened on March 15 at Elk Grove High School. Which films will win? 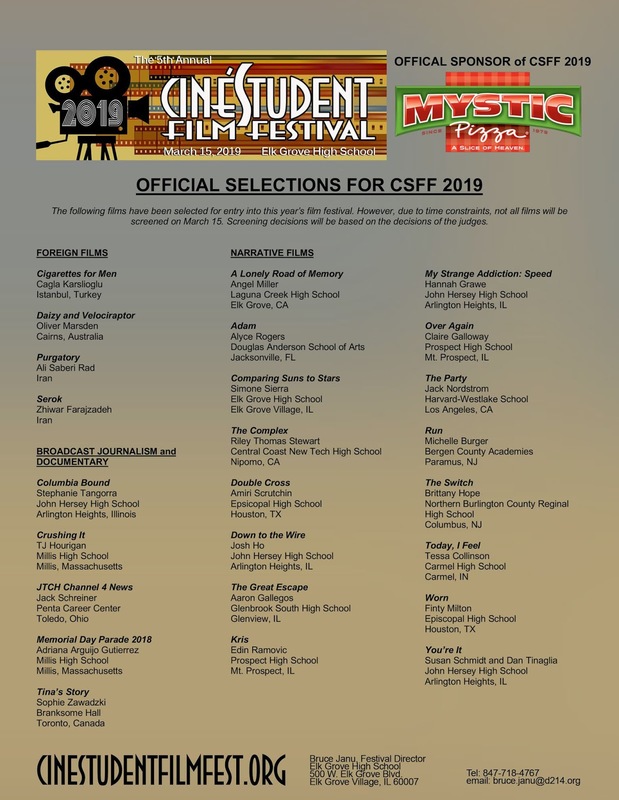 Here are the OFFICIAL SELECTIONS for CSFF 2019! 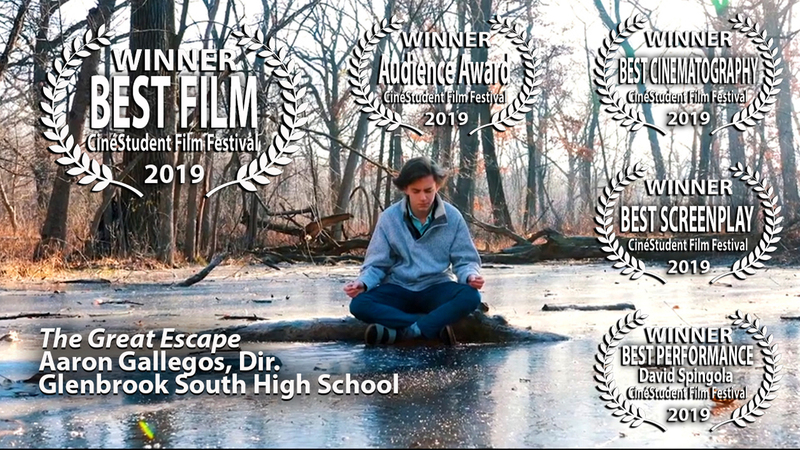 Thanks to all who submitted! Yes, that's right! We added another day. Get your films in by midnight (central) in order to be considered for CSFF 2019! 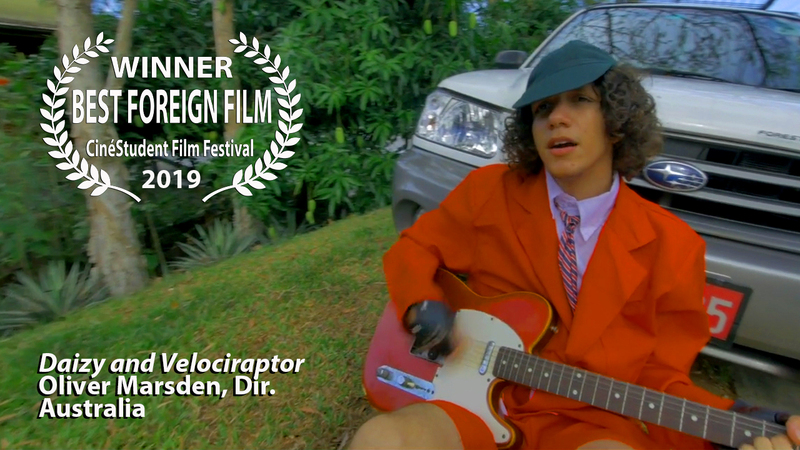 Film Festival season is about to begin! The 5th Annual CinéStudent Film Festival will be held at Elk Grove High School on March 15, 2019. Start getting your film ready!